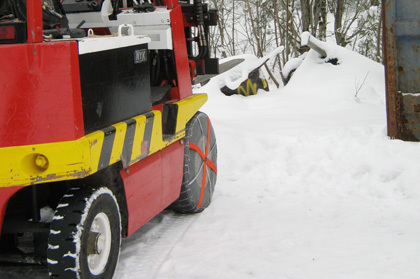 AutoSock were launched in Norway in 2002 after a long period of testing, evaluation and improvement. Sales have grown exponentially, with over 330,000 pairs sold around Europe last winter, mostly on recommendation. When you've had the opportunity to test them for real you'll soon realise why. 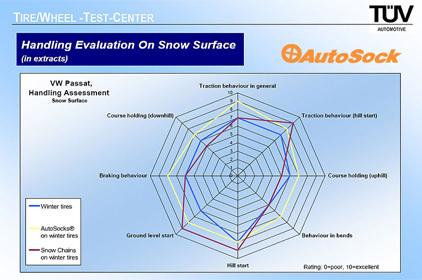 Most people are not only surprised but astonished at the difference they make to general traction, cornering, and braking. They're also now approved by many car manufacturers, including BMW, Fiat, PSA Peugeot Citroën, Mercedes-Benz, Toyota, and VW. 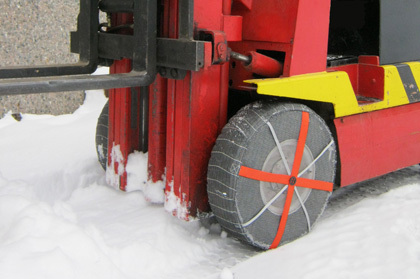 The bottom line is that AutoSock will provide a massive boost in all round confidence when driving on ice and snow, and hopefully "Get you home" or to wherever you're going, but don't overcook it, i.e. 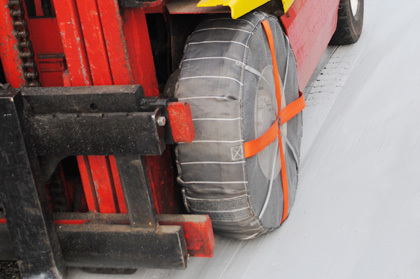 you should always drive with particular care in wintry conditions. 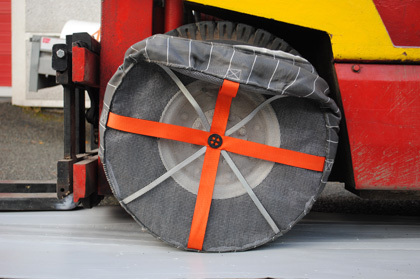 Full instructions are shown on each bag which is also designed for easy and clean carrying of dirty AutoSock once you've taken them off the wheels (pull them off with the orange straps). 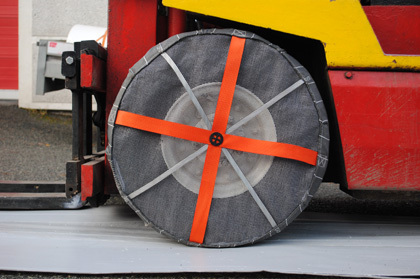 There's only one possible way to fit AutoSock, and no practice is required. 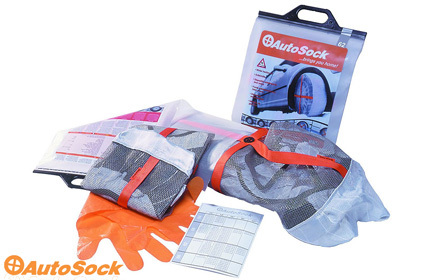 Please note that AutoSock will wear out with use, and that worn out AutoSock is not a guarantee issue! They'll get you moving and keep you moving - see the "Driving with AutoSock" page (one of the tabs above) for more information. Please test them at the first good opportunity, and then pass the word!